The journey to self realisation is a life long process. Finding your own sacred truth to be the best version of you possible. The time is now, the place is here and it is circumstance has brought our energies together. 23 videos, 2 hours of learning, 9 Topics! Remote Viewing, Crystals, Dowsing, Mediumship, Healing, Tarot Courses & More, we are looking for volunteers to try our courses for FREE, subscribe to the newsletter to be notified. Simple one-word meanings, learning the tarot has never been easier! If you have always wanted to learn, NOW is the time! The story of Jesus and his relationship with the British Royal family and his many trips to Britain, including the sacred island of Anglesey and how he became involved with the Druids. The first in a series of magic books. Divination, mystery, communication and the expression of intent laid down from the wisdom keepers, the elders, the Druids. FREE Monthly Tarot Readings on my blog for each of the horoscopes. Find out what energies are around you for the month ahead. Tarot readings are based on your zodiac sign, check it out to see what insights you can gain. The tarot is the book of truth, what secrets will be revealed this month? 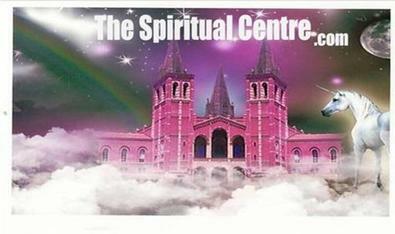 A safe haven for anyone wishing to explore spirituality and all it represents. Thank you for taking time to visit our website. We hope you return again soon. Lastly remember we are all given a price-less gift ... the gift of free-will .... what an amazing gift that is!